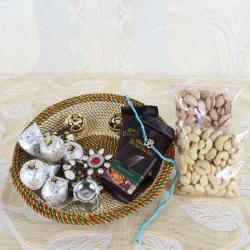 Product Consist: Tear Drop Shape Puja Thali, Veera Rakhi, Home Made Chocolate (Weight: 100 gms). Hindu people in India celebrate the Raksha Bandhan festival, which is the festival full of happiness and joys. The main occasion of this eve is tying the rakhi on the wrist of your brother and wishing the brother to remain free from any bad influence. In return, the brother takes a pledge of guarding his sister throughout their life. 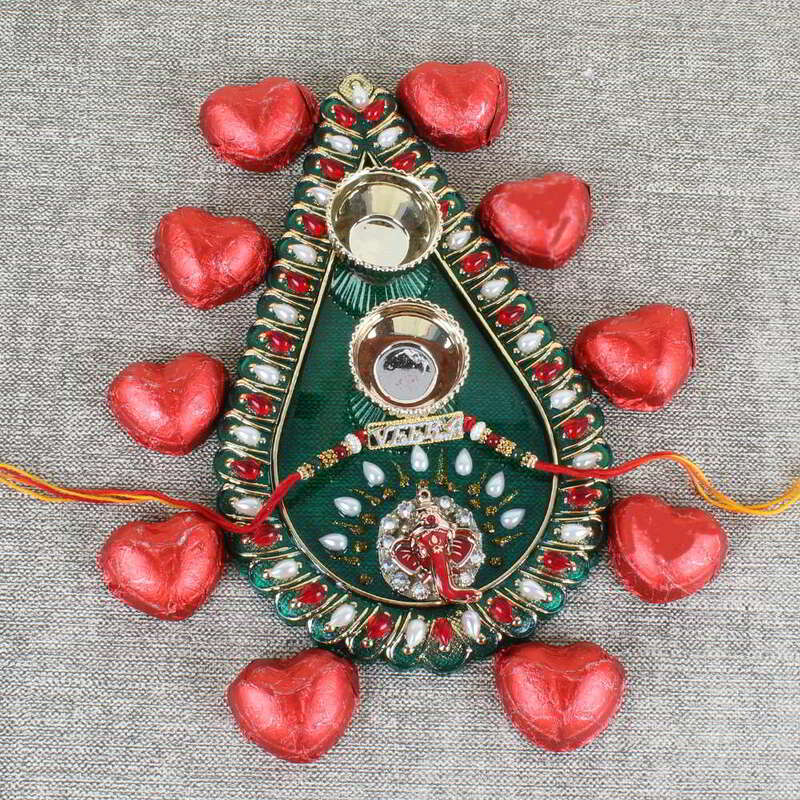 Tying of rakhi represents the love between sisters and brothers on this auspicious day. 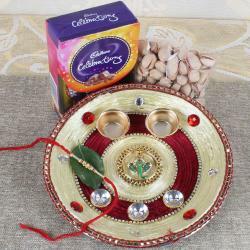 Before a month of Raksha Bandhan, sisters look for the best rakhi for their brothers. 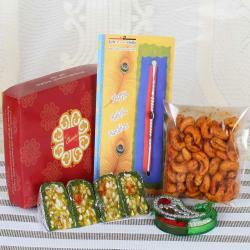 If you want to tie a special rakhi for your beloved one, then go with Fancy Rakhi Combo for your Brother. 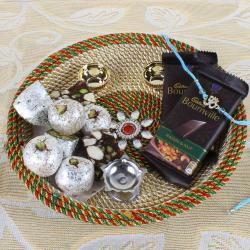 Product Consist: Tear Drop Shape Puja Thali, Veera Rakhi, Home Made Chocolate (Weight: 100 gms).